Autoglass Ireland is the country’s leading vehicle glass repair and replacement company, serving more than 60,000 motorists every single year. Irish Trucker caught up with its Operations Director Billy McGregor after the company picked up the award for Best Van Fleet at the Fleet Transport Awards at the end of September. Based in Ballymount Road, Dublin 12, 2018 will see Autoglass Ireland mark 40 years since it was first set-up in this country. It will no doubt be a special occasion even though company was already given some cause to celebrate early on September 28th when it received the ‘Best Van Fleet’ award at the 11th annual Fleet Transport Awards at the Citywest Hotel in Dublin. For Operations Director Billy McGregor, the award helped to further illustrate what Autoglass Ireland is all about and that is dedicating all of its resources to doing one thing and one thing only –fix (repair and replace) broken vehicle glass on any make, model or age of vehicle. Billy was good enough to take some time out of what has become an increasingly busy schedule to tell Irish Trucker more about the company. “Our headquarters are in Ballymount in Dublin and 2018 will see us celebrating 40 years in Ireland,” he stated. “We’ve 100 staff and I’ve been the company’s Operations Director for the last four years. Donal Lawlor is the Managing Director here and he’s been with the business for the last 10 years. Autoglass can repair or replace any piece of glass on any make or model of vehicle and their workmanship is guaranteed for as long as you own or operate your vehicle. As the country’s leading vehicle glass repair and replacement company, the company have strong relationships with most of Ireland’s major insurance companies enabling us to manage all of their clients’ insurance paperwork for them if they are claiming for the work on their vehicle insurance. Autoglass recently took on a contract with AXA Insurance as Billy, a man whose background in the industry saw him spend 10 years with Dollar Thrifty and Europcar before joining Autoglass, explained to Irish Trucker recently. “It’s a challenging environment. Business has been tough in recent years but we’re pleased to see it increasing in 2017,” he said. “We took over AXA Insurance contracts in April 2017 and things have been going well, so there’s plenty to look forward to heading into 2018. “I think it’s down to three things quality, service and safety,” he said. 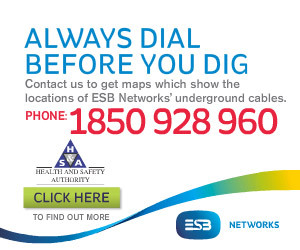 “Safety is always first with us and we’d like to think that those three attributes are at the very core of our business. Whether choosing to have Autoglass to help fix a problem in one of its branches or whether preferring the convenience of getting one of the company’s 70 mobile technicians to come to you at home, at work or wherever you are, the customer can relax in the knowledge that all of the workmanship at Autoglass is guaranteed for as long as they own the vehicle. The workmanship and commitment of Autoglass is renowned in providing first class customer service to every one of its customers. Back in September, the company’s excellence was recognised at the Fleet Transport Awards when it picked up the gong for ‘Best Van Fleet’. “They took place on September 28th in Citywest and we were very pleased to be chosen as The Best Van Fleet award winners on the night,” said the Operations Director. The Vanbrella is the latest innovation from Autoglass; an extendable canopy fixed to its mobile technicians' Ford Transit vans. Specifically designed to facilitate vehicle glass repair and replacement services in wet weather conditions, the Vanbrella will increase the speed of service for fleet partners across Ireland and the UK. Previously in wet weather, Autoglass had offered customers the options of either taking their car in to a branch or a later appointment. However, the Vanbrella now provides an alternative solution and will ensure reduced downtime for fleet managers, keeping their stock in prime condition and on the road whatever the weather. The Vanbrella will also be welcomed by the Autoglass technicians themselves - making it easier for them to do their work. How it works is simple. The Vanbrella is contained in a roof-box mounted on van. The technician simply undoes a few clips and swings the Vanbrella out of the roof-box and unfurls it to protect the customer’s car. 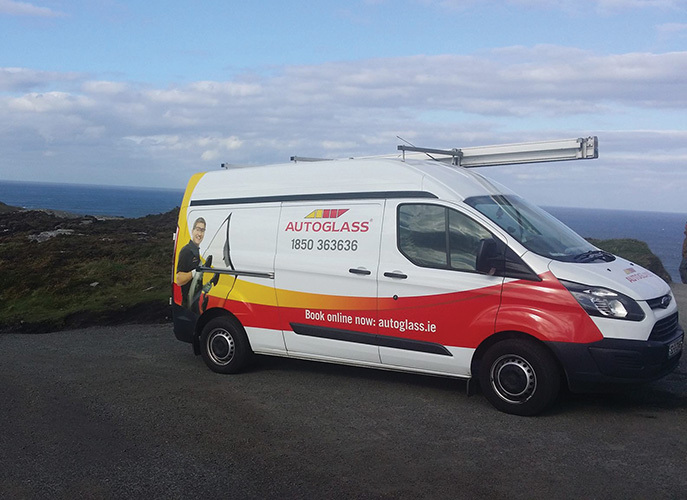 So if you’re looking to repair any kind of glass for any kind of vehicle, look no further than Autoglass Ireland.